A star to me symbolizes being the best. why not combine the best brand of adhesive with a star? the star serves as a promise that band aid is the best brand and shines above all other brands. i was able to get the hang of photoshop and put this idea together. 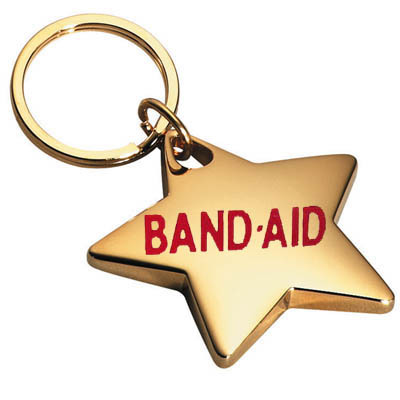 A gold star is a sign of success and achievement which are two excellent qualities of the band aid brand.